Good news on e-cigarettes...and bad news too. ACSH's Dr. Gilbert Ross and videographer director Ana Simovska spent a most productive morning session yesterday with four officials associated with the NYC Council. Also participating in the educational session that seemed to go on and on, as the legislative assistants soaked up much e-cigarette-related data, was Spike Babaian, devoted vaping exponent and co-proprietor of Manhattan's first retail e-cigarette shop, Vape New York. A recent op-ed in the Sacramento Bee issues a strange warning about e-cigarettes, saying that they may cause hearing loss among teenagers. The piece was authored by Dave Fabry, identified as the vice-president of audiology for Starkey Hearing Technologies in Eden Prairie, MN. Through education and taxation, the struggle to end tobacco smoking has made tremendous gains over the last fifty years; some believe that we are entering the final phase of stopping the plague. 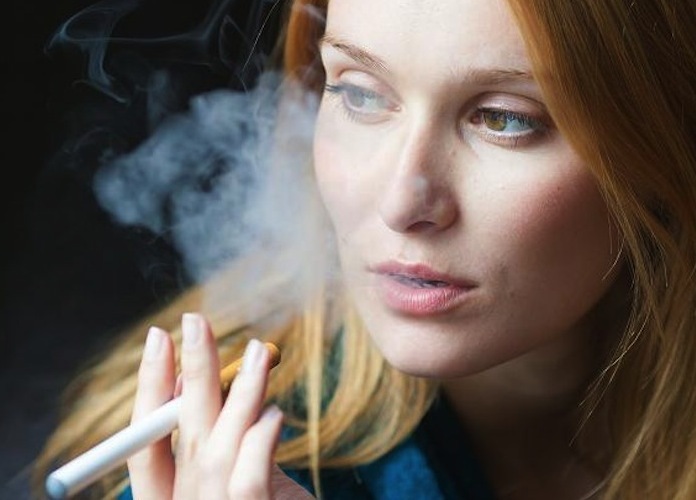 Public health thinking has evolved too, cigarettes are now considered “nicotine delivery” systems and so they have taken on new forms – from the “low to no” nicotine cigarettes, to gum, patches, and vaporizers. If we cannot end smoking short of prohibition, and we know how well abstinence only works, then we are compromising by containment, reducing harm while promoting cessation. There is zero doubt that the harms associated with smoking are considerable. Thanks to public health efforts, smoking cigarettes is recognized as one of the biggest contributors to death and disability globally. This is why when tools become available to reduce or eliminate cigarette use we should embrace it versus shooting it down with false fears. The Global Forum in Nicotine was held in June and 44 participating countries sent policy analysts, regulators and public health professionals to discuss smoking cessation and harm reduction. An obvious topic was the role of e-cigarettes as an effective tool in preventing smoking. The UK Centre for Substance Use Research interviewed 167 young people aged 16-25 years in the UK who ‘vape’ about their usage, and found that the majority of them regard it as socially very distant from smoking, was much less harmful than smoking, and they believe that e-cigarettes make smoking seem abnormal. Just yesterday, I put the finishing touches on an article titled, "10 Worst Bogus Health Stories of 2018." It turns out that my publication was slightly premature. I should have waited a few more hours. Stanton Glantz is a professor at the University of California-San Francisco (UCSF). He became famous for exposing the shenanigans of the tobacco industry, namely its dishonest public relations campaign to downplay the harmful effects of smoking. As an anti-smoking activist, his efforts have undoubtedly helped save many, many lives. One of my extended family members is a former smoker. Nagging him to stop did little good. Warning him against its health dangers produced similarly poor results. He was addicted, and he appeared to like smoking, anyway. Then e-cigarettes came along. After giving them a try, he quit cigarettes for good. No nagging was necessary. He received the same kick from vaping minus all the nasty smoke that makes cigarettes so dangerous. His blunted sense of smell and taste returned to normal and breathing became easier. Inhaling vaporized alcohol new method of suicide?? Although they probably don t realize it, teens have discovered a potentially deadly way of getting drunk inhaling alcohol vapors sometimes called vaping (not to be confused with use of electronic cigarettes). As reported on WCBS-TV (channel 2 in New York), alcohol vapor inhalation sends the drug directly to the bloodstream, resulting in a much faster high than if the same amount had been consumed normally. The town of Lemon Grove, California, has banned e-cigarettes in bars and restaurants and in public areas like parks, effective October 1st. If that seems a lot like cigarette rules, that is what they intended. Critics argue conflating the two makes no sense. They both contain nicotine, but so do gums and patches. None of them contain tobacco smoke, which does have hundreds of dangerous chemicals and has been shown to be a risk factor for numerous diseases for over 50 years.